Due to some extensive renovations at the James City County Library we will not be able to use our usual meeting location. Instead, we have arrangements with the library to use one of the rooms in the Stryker Center in downtown Williamsburg. The map below shows the location of the Stryker Center, as well as available parking. Please use the entrance on the south side of the building, indicated with the red marker. Parking is available in the lot adjacent to the Stryker Center and Williamsburg Library. If that lot is full there is a parking garage across the street with plenty of parking. **Note that the June club meeting is the annual picnic, to be held at Little Creek Reservoir Park in Toano. This is unaffected by the library renovations. This list is subject to change depending on the extent of the work being done. Please check back here and the news page for updates as they may arise. 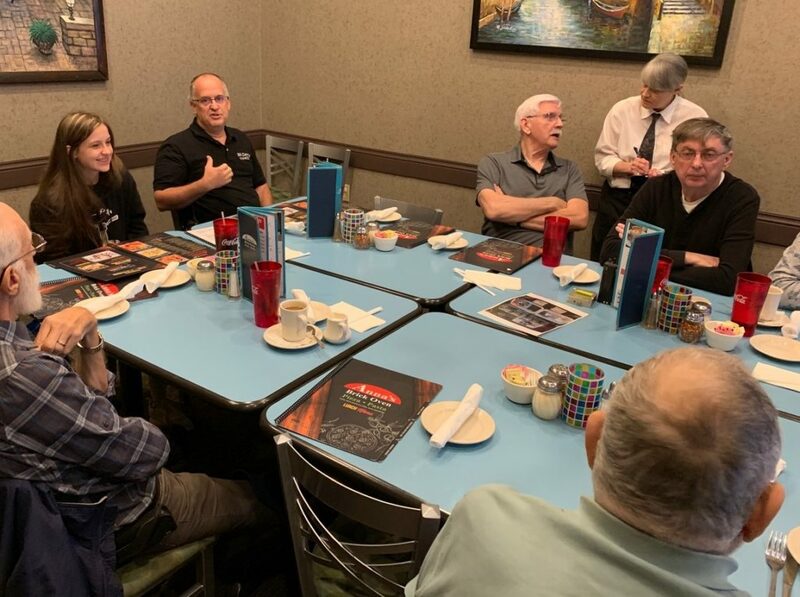 Bill Canedy KM4DQM and daughter Allison KM4OCE from Fort Lauderdale Florida joined the Wednesday lunch group at Anna’s Brick Oven Restaurant on March 27th. 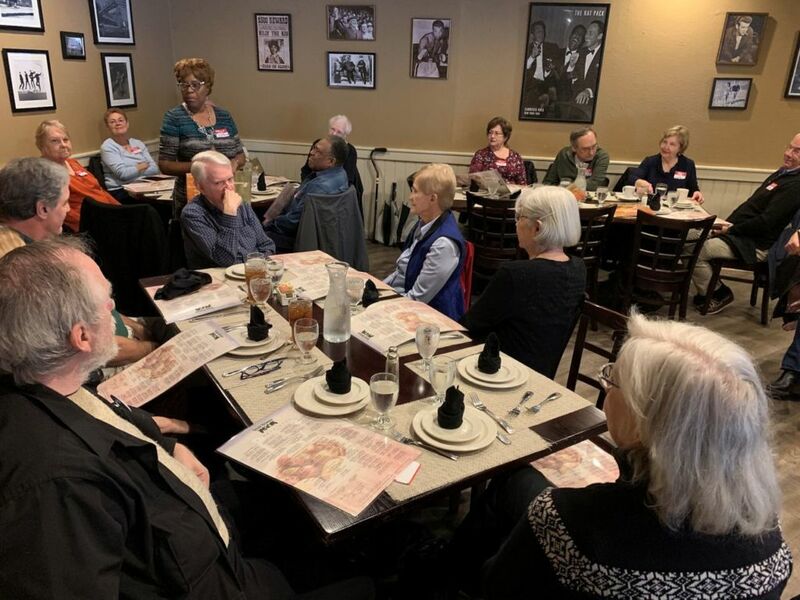 Bill and Allison took the opportunity to meet and speak with folks on the KB4ZIN 146.76 repeater and are visiting the historic Williamsburg area. 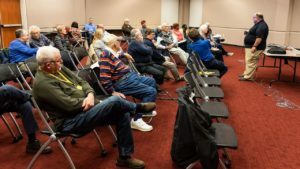 Bill and Allison, along with another son who is a ham, are members of the Davis County Amateur Radio Club (http://www.dcarc.club) and shared the many exciting things their club does, activities that mirror many of our own WAARC programs. Williamsburg Area Amateur Radio Club president Dino Papas KL0S presents Williamsburg Regional Library Collection Development Librarian Neil Hollands with the club’s donation of 13 ARRL reference books at the club’s February meeting. 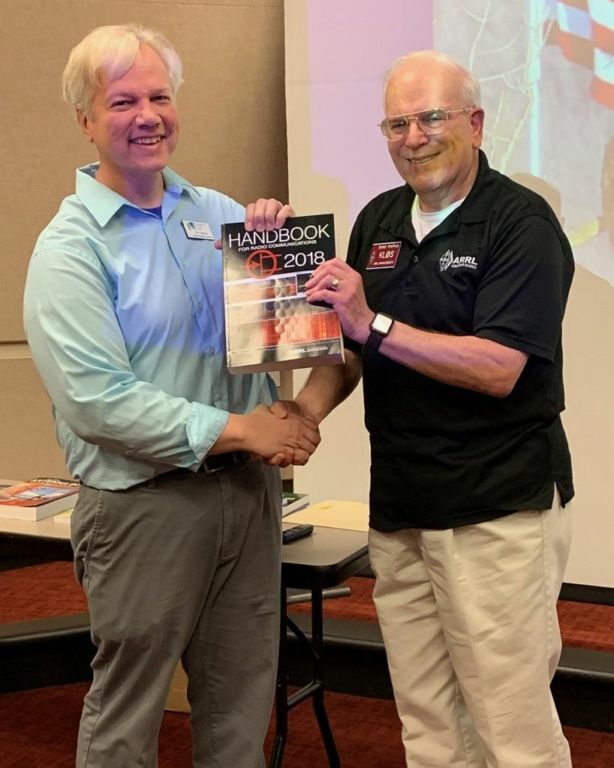 The comprehensive book set is useful across the spectrum of city and county residents, from those seeking to become amateur radio operators up to the most experienced hams. 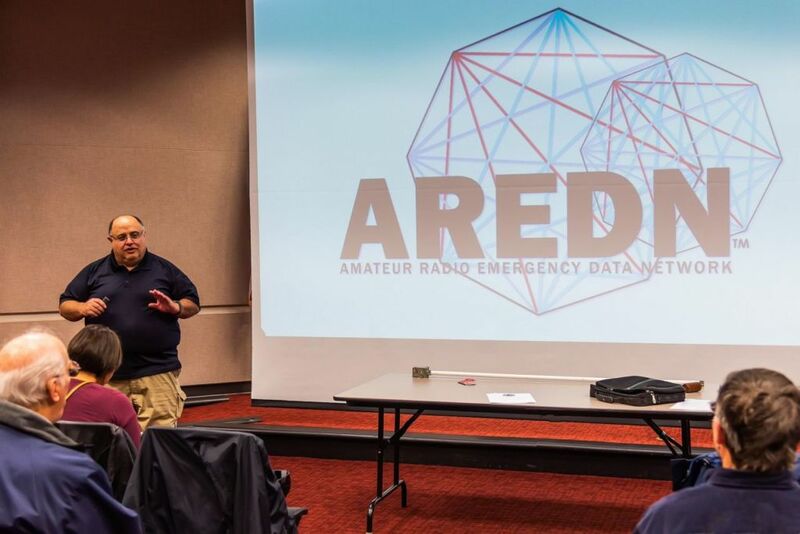 Amateur radio operators stand ready to support the emergency communications needs of the community and having these volumes available goes a long way toward ensuring the community has qualified, licensed operators in place. 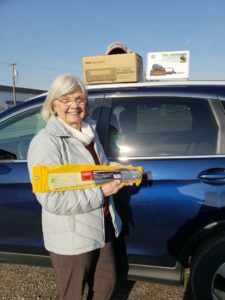 Richmond Frostfest Grand Prize Winner! 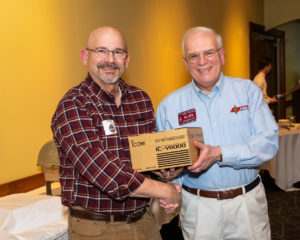 Jaylene KN4KXK, a graduate of both our Technician and General Class courses in 2018, attended the Richmond Frostfest as her very first hamfest, and ended up winning the grand prize drawing. 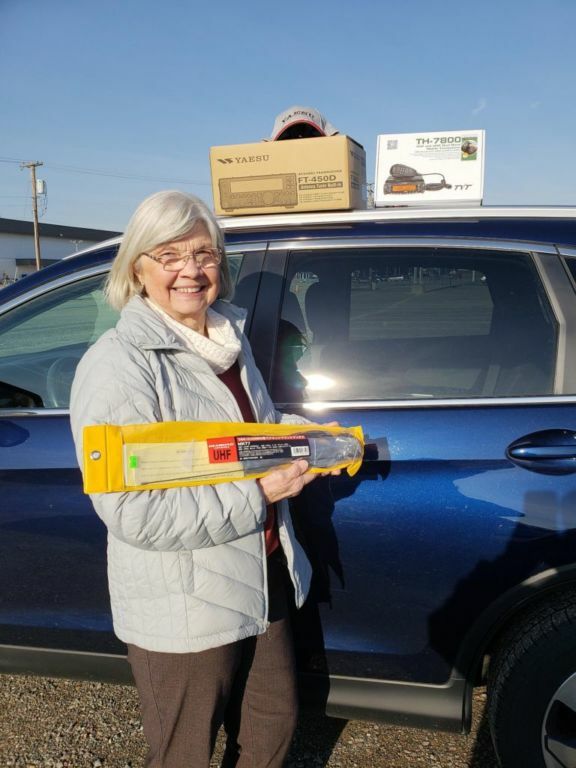 She received a huge “Frostfest Bucks” award and turned right around and used her credit to outfit her HF station along with a VHF/UHF mobile transceiver and antenna. 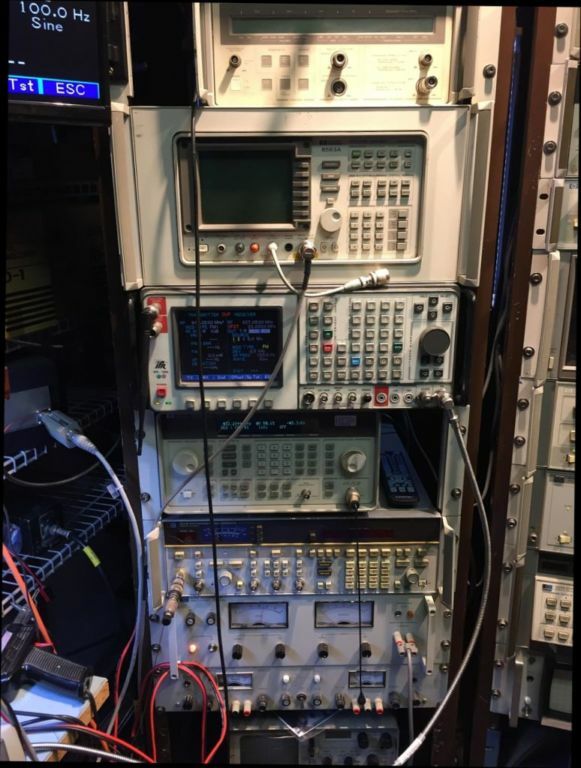 Jaylene built her Off-Center-Fed Dipole at the club’s recent Antenna Buildathon and with her new radio should be working the world soon. Congratulations Jaylene, see you on the radio! 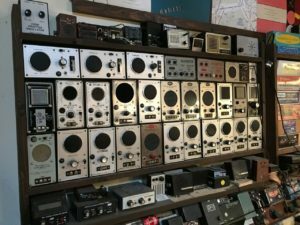 Boatanchor Radio Receiver Comes Back to Life! 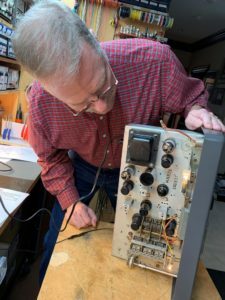 Kerry NH2A recently decided to adopt and restore an orphan boatanchor Hallicrafters SX-99 all-band HF receiver. 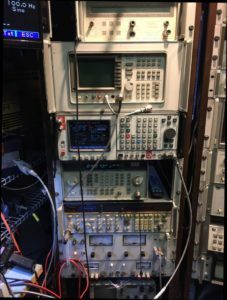 This kind of rig was a standard part of a receiver-transmitter pair that hams used to use back in the day. 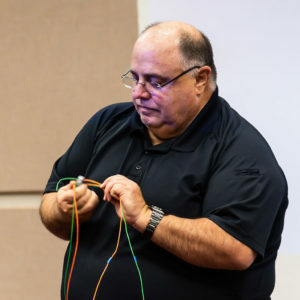 He replaced the fraying line cord and all the paper and electrolytic capacitors before ever even thinking of powering it up. 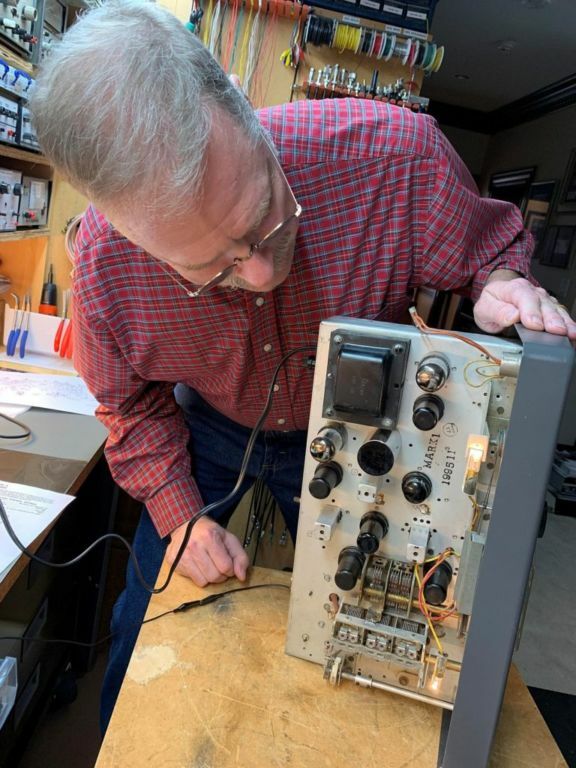 The radio is vacuum tube based and Kerry used a Heathkit tube tester to verify that the tubes were at least operational. He then brought the rig up slowly on a AC variac with the tubes removed to confirm the tube filament and plate voltages were present (and no smoke was produced!). Once he verified the power supply was working correctly it was time to return the tubes to their sockets, hook up the speaker, connect a short antenna and keep his fingers crossed. Kerry was rewarded by the sweet sound of our own local AM radio station WMBG on 740kHz. Here’s Kerry inspecting the top side of his receiver. 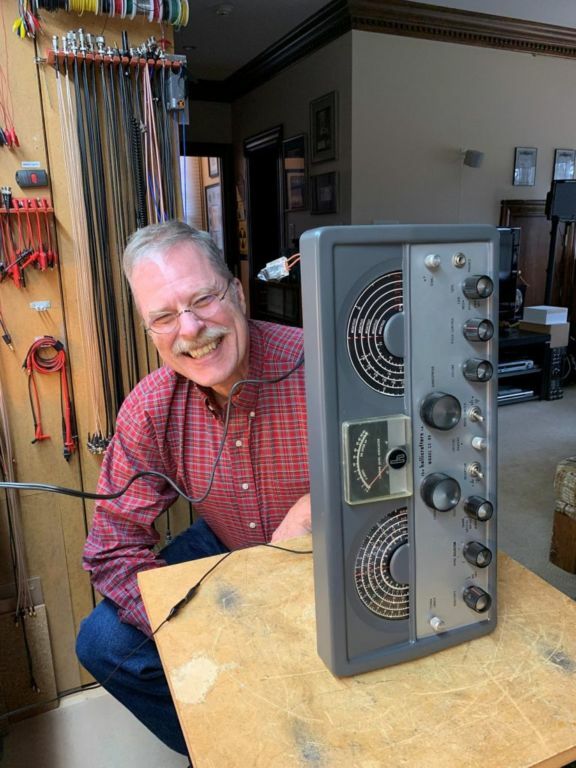 And here’s the result…his big smile indicates the radio has at least come to life receiving AM signals; more work is required to get the receiver working again in the CW mode but that’s what ham radio is all about…doing it yourself! 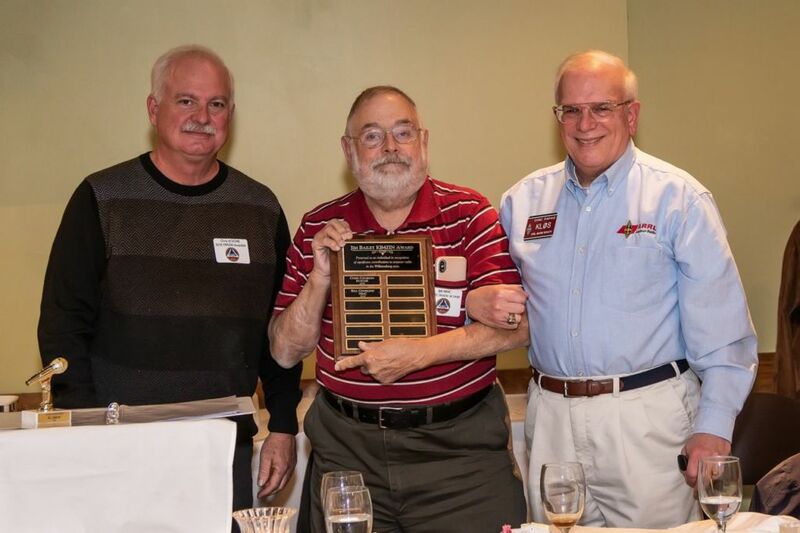 Forty five members and spouses of the Williamsburg Area Amateur Radio Club (WAARC) gathered for their Annual Dinner on Saturday January 26th at Anna’s Brick Oven Restaurant where a delicious buffet dinner was enjoyed by all. 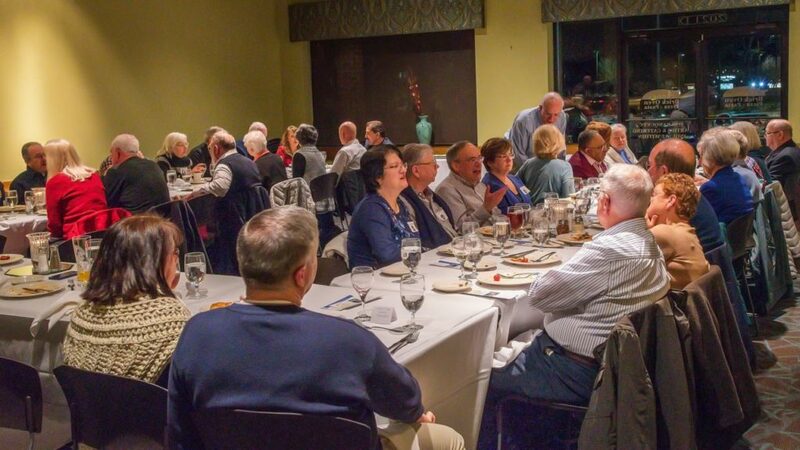 One highlight of the evening was that many club members had the opportunity to meet other members and their spouses for the first time, hopefully the beginning of new and lasting friendships. 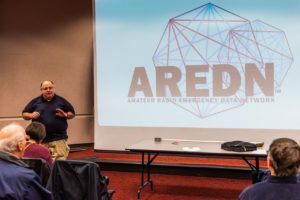 Additionally, several ladies told club leadership that they were interested in obtaining their licenses and that they would like us to conduct a Technician class in the near future. WAARC members Vinny KX4HH, Kerry NH2A and Wally WA3RWP enjoy the time before the meal began to catch up on recent club events. 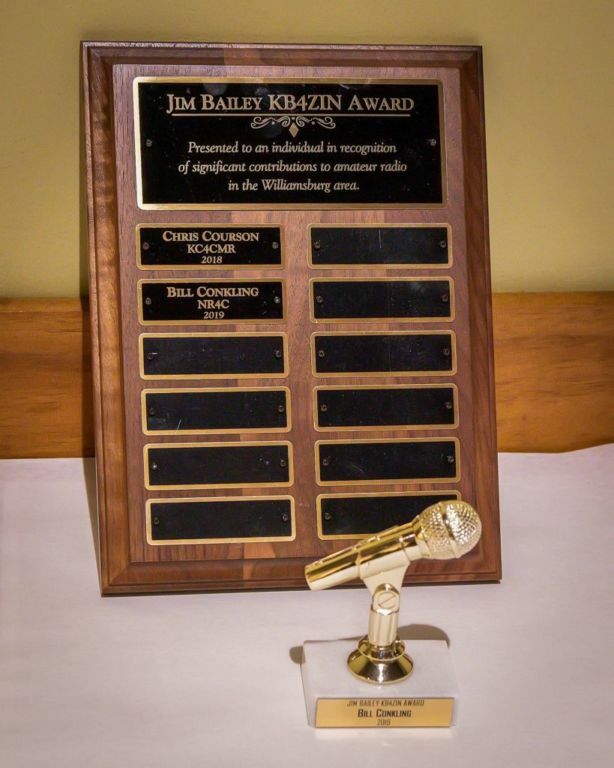 The major highlight of the evening was the presentation of the Jim Bailey KB4ZIN annual award for excellence. 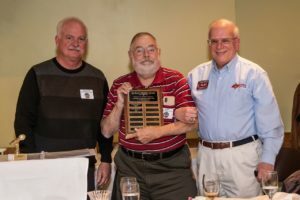 Here club president Dino KL0S (right) and 2018 award winner Chris KC4CMR (left) join in to present the 2019 award to Bill Conkling NR4C in recognition for his long time support to the Williamsburg and Middle Peninsula clubs in both elected and support positions along with his activities as an “Elmer” for new hams and club members. A selection of free door prizes helped end the evening. 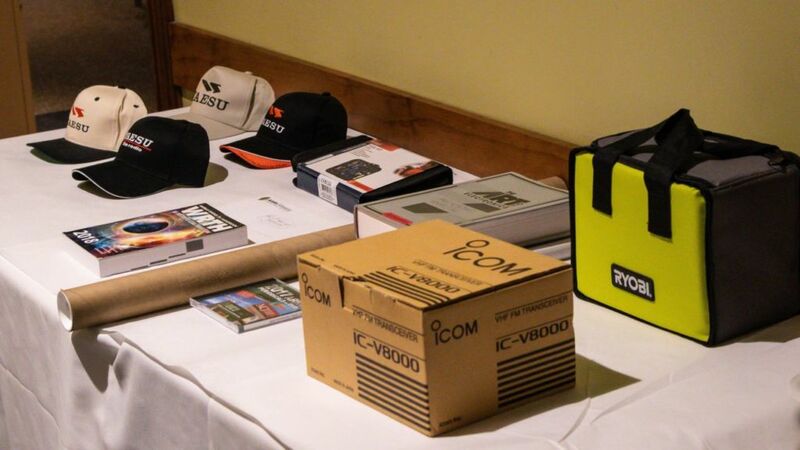 The main prize was a Icom IC-V8000 2m mobile radio won by Rob KK4R. 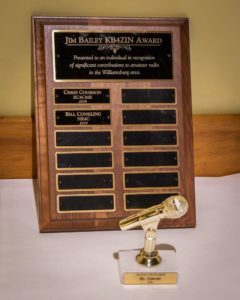 Bill NR4C will maintain the KB4ZIN award plaque until January 2020 when another awardee is selected. Bill will keep the award statue to proudly display in his shack. Sal Liguria, who owned several local restaurants and whose daughter AnnaLisa and son Sal now own Anna’s Brick Oven Restaurant, recently greeted the Wednesday NR4C lunch crowd to pass along his holiday greetings. 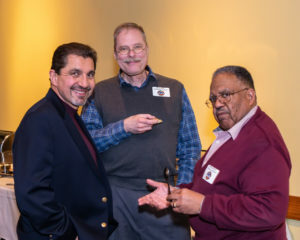 Sal is shown here with WAARC Vice President Chuck White AI4WU. Every Wednesday the staff dedicates a separate room in the restaurant for our get togethers (we can get a bit loud!) and many members are regular diners at other times. Anna’s will again be the site for our WAARC Annual Dinner on January 26th. 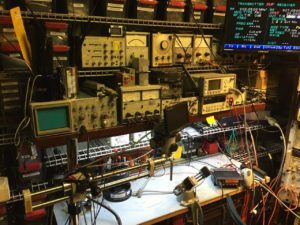 The January WAARC “Hour of Power” was provided by Chuck, AI4WU, who demonstrated the construction of an OCF (off center feed) Dipole antenna. Chuck and Bill (NR4C) are working up plans to help other members construct these antennas at a building session on Saturday. 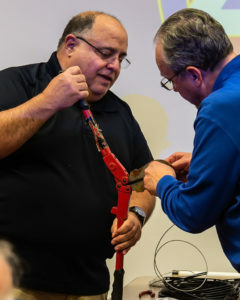 Dave (AJ4XV) carefully holds things in place, while Chuck (AI4WU) prepares a crimp connection. The HOP was well attended by HAMS old and new. Dave and Cissy Meier, N4MW and N4ZRW, recently invited club members to their home in New Kent for a “Ham Radio Open House”. 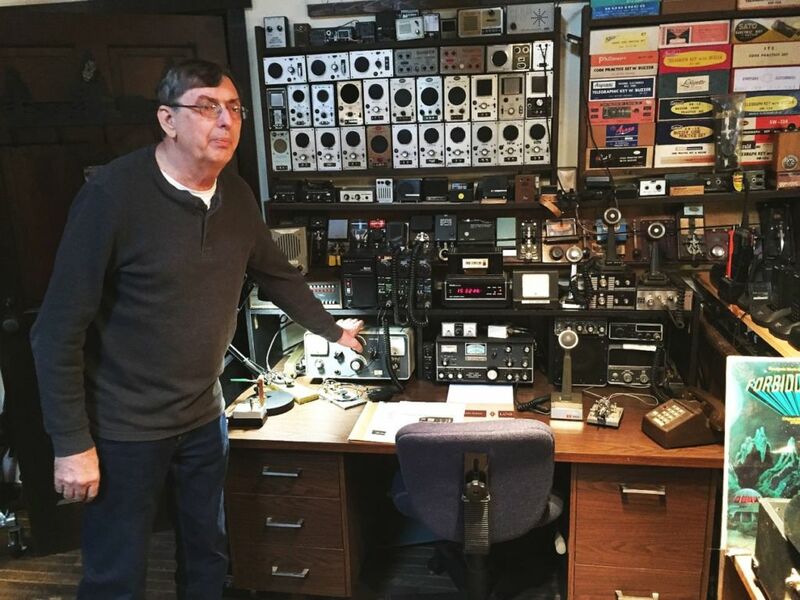 Dave displayed for the group his extensive boat anchor radio equipment sets along with his sizable code practice oscillator collection. He also let us tour his super workshop where things from “D.C. to daylight” can be built and/or repaired. 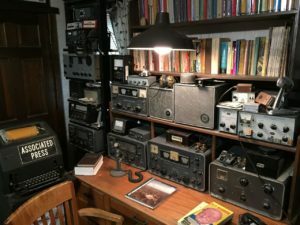 Here are just a few pictures of their true “ham radio house”. 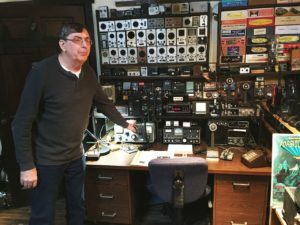 Dave has his own web site where you can also enjoy a further trip down ham radio memory lane (www.n4mw.com). Dave and Cissy were wonderful hosts and the large group who visited greatly appreciated their generous hospitality. 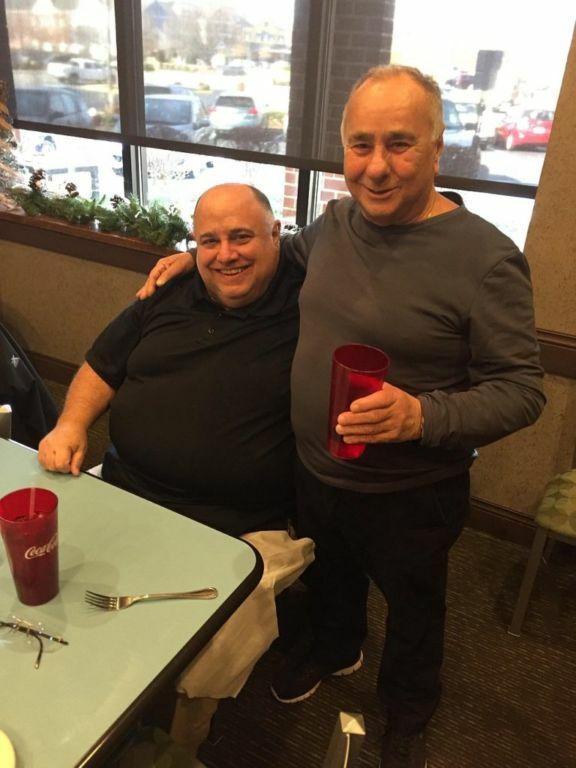 If you missed it, here are some photos. 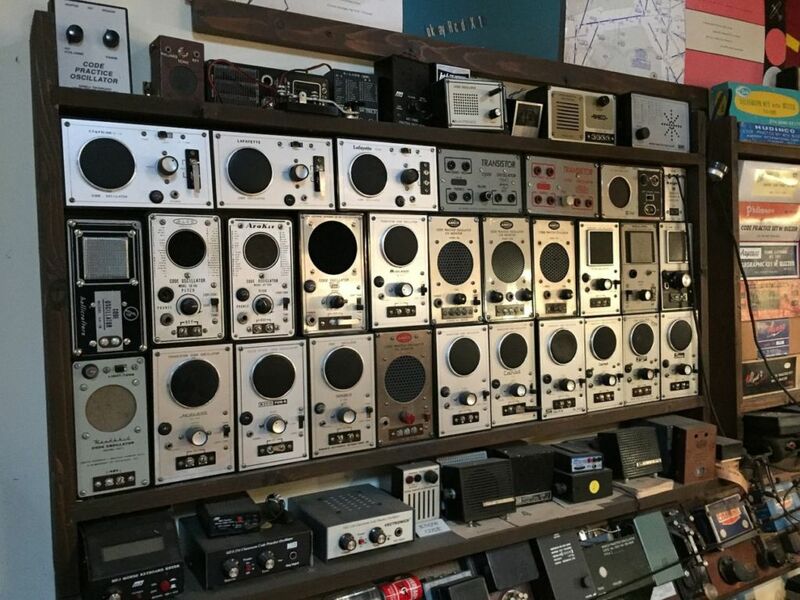 Dave N4MW shows visitors one of his boat anchor radio benches along with only a small fraction of his code practice oscillator collection. close up of just a part of Dave’s extensive CPO collection. Spectrum and Network analyzers, signal generators along with a service monitor allow Dave to work on just about any type of ham radio equipment. Here’s only part of Dave’s extensive workbench and test equipment array. 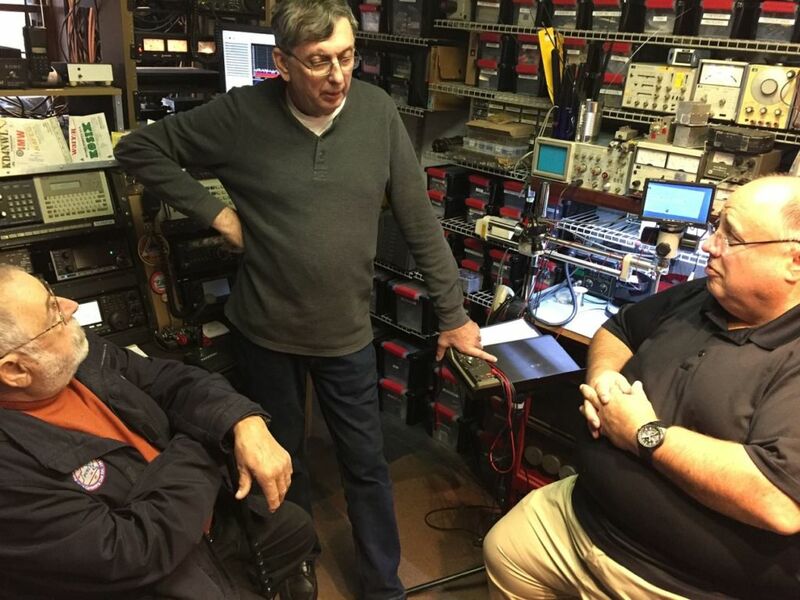 The workbench tour continues with admiring guests Bill NR4C and Chuck AI4WU. Dave’s XYL Cissy N4ZRW has another hobby as well, embroidery. 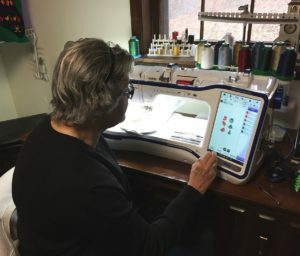 Her “workshop” is as well equipped as Dave’s ham radio bench with a very capable automatic embroidery machine. Cissy was instrumental earlier this year creating the first embroidered mockup of our new WAARC logo patch allowing the Board of Directors to do the final fine tuning on its design before commercial full scale production began.